Every country holds the right to diminish the remunerations for the national experts and to justify this reduction to the European RUCIP Committee. RUCIP Valuation Offices: € 150,- + in case of withdrawn demand of expertise, 50 % of the fee to pay for the expertise, still has to be paid. 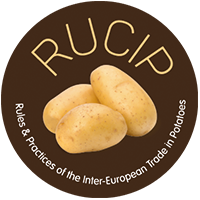 Every country has the right to reduce the allowance for local arbitrators and to justify this reduction to the European RUCIP Committee. The expenses of the 1st degree are doubled, 50% is paid to the European Committee.